To see your results, click on your Progress bar at the top of the page. 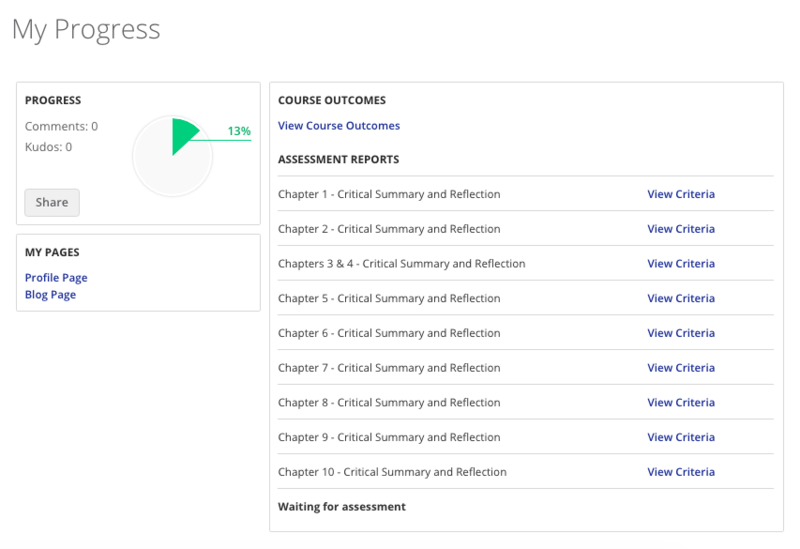 This will take you to your Progress page, where you will see all your Assessment reports. Click View Criteria for the assessment report you would like to see. Here, you will see your percentage grade for each assessment criteria as well as your total percentage once your report has been released. Sophie Hi Sophie! Can you send us the link to where you would like to upload it? Also, is this for the pet sitting course? In that case, it might be best to ask the course facilitator. They would know where you need to upload it. Earlier i had an issue of that i can find the “ assess me now “ button in my progress. We need to click onto the “ assess me now “ button so that our lecturer could givr marks to us. I reported it and they solved it. But a few hours later, before i clicked on the “ assess me now “ button, it disappear. So how could i click the button??? PRAVIN THANABALAN Hi Pravin, try again now please.